Truck Accident Personal Injury & Wrongful Death Lawyers in Miracle Mile, Los Angeles, California -- We are Experienced & Trusted Legal Experts! Need Accomplished Legal Professionals To Handle Your Personal Injury Or Wrongful Death Claim? Our Miracle Mile personal injury lawyers provide aggressive legal support for truck accident injury and wrongful death accident claims. 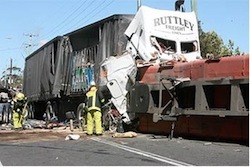 Truck accidents can cause devastating injuries. We work hard to get you the very best medical assistance and result possible. We help you find doctors who will not expect payment until your case is resolved and we can even help you with transportation to and from your doctor if you have no way to get there. We want to make things easy for you during this stressful time. Just call us at 1.866 INJURY 2 or 1.818-222-3400 (after hours, press “1”) or just click here to reach us 24/7. With 40 years of legal experience under our belt, we are extremely experienced with many thousands of successfully resolved personal injury and wrongful death claims. We are one of the most sought-after team of lawyers in California and boast better than a 95% success rate in our law practice. To learn more about our experienced personal injury & wrongful death lawyers and law offices, please see our home page, verdicts & settlements, and lawyer profiles. Sophisticated in providing legal support to the families of victims who succumbed to truck collisions or were rendered incapacitated in any regard as a result of it, our domain of activities has widened over a period of time. We represent our clients while employing an aggressive approach in the courtroom, while striving to obtain maximum monetary compensation by settlement including at mediation. Our lawyers come from diverse backgrounds and are united by a compassionate relationship with the client, which is pivotal to our representation. Click here 24/7 for expert legal assistance in wrongful death or truck accident lawsuits or simply call us now at 1.866 INJURY 2 or 1.818-222-3400 (after hours, please press “1”). To get an insight into our vast experience and achievements for our clients, please see our Client Testimonials. Further, take a look at our Truck Injury Accident Web Site to understand the process of claims recovery; and feel free to contact us 24/7 about your own case for more specific advice.. 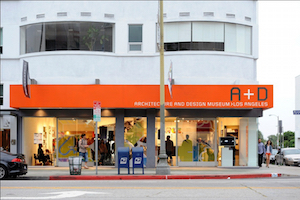 Located in Los Angeles, California, along Wilshire Blvd. 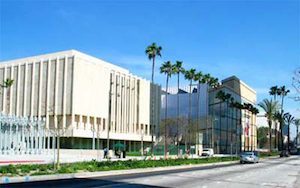 where many museums, professional offices including lawyers, doctors and CPAs, businesses and other commercial establishments are located, the beautiful Miracle Mile District includes Hancock Park on the northeast, Carthay Circle on the west which used to be where the Carthay Circle Movie Theater was located which played host to many world movie premiers and is where Carthay elementary School is located, and the Fairfax district on the north where Fairfax High School is located. A population of 26,174 inhabits the Miracle community, as per 2010 US Census. 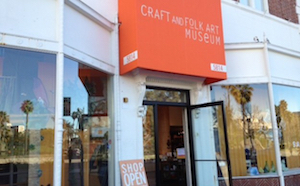 It is widely known for “Museum Row,” comprising of Craft and Folk Art Museum, Petersen Automotive Museum, the Los Angeles County Museum of Art (LACMA), George C. Page Museum, and A+D Museum, among others. Further, Miracle Mile gives off the urban vibe and a major chunk of Los Angeles’ young professionals who work in Los Angeles live there. Heavy vehicles, such as trucks, pose a serious threat to the safety of other vehicles of relatively smaller size, traveling alongside. Further, the momentum generated as a result of a truck collision can wreak havoc on motorcycles and cars. Mindful of the fact that losing your loved one in a truck accident can be a horrifically painful affair, we are most understanding and considerate of our client’s grief and strive to bring them justice relieving them of the legal stress while using our legal skills, resources and experience. Our expertise in personal injury and wrongful death cases has stood the test of time. Miracle Mile personal injury lawyers can simplify the legal procedure and formalities regarding your personal injury or wrongful death accident case. Our 40 years of legal experience in handling personal injury cases serves the cause of our clients, seeking justice and due monetary settlements. To gain an insight into our legal works and achievements of our adept legal professionals, contact us for a free case consultation. In addition, we will fill you in on how to protect your rights and act in compliance with California DMV and insurance policy procedural rules. For our quick and easy consultation, fill-out the details in our contact us form and tell us about your Miracle Mile, CA truck accident or other injury accident. We provide FREE consultations and we work on a contingency fee basis… Meaning there is NO Fee until You WIN and our fee is paid out of the recovery and NOT your pocket! Please CONTACT US NOW – You will be glad you did!